Snow goose hunting is a love/hate relationship. Don’t get me wrong, I have the utmost respect for the bird. Their ability to make you look SMALL at times, is where the hate comes in. It reminds me a lot of musky fishing. Some days you throw big baits all weekend for nothing…and other times it all seems to just come together. Snow goose hunting is no different. To show my age, I’ve been snow goose hunting on my own for 25 years. Started much earlier with dad, but my passion for hunting snow geese really took off when I was in High School. I spent my spring break in college hunting the inaugural spring season in Nebraska. Been a fun ride ever since. I’m going to break this down by FALL and SPRING snow goose hunting seasons, as they’re entirely unique in their approach. Hopefully you learn a thing or two along the way, and get a chuckle too (I quit taking my hunting too serious years ago). 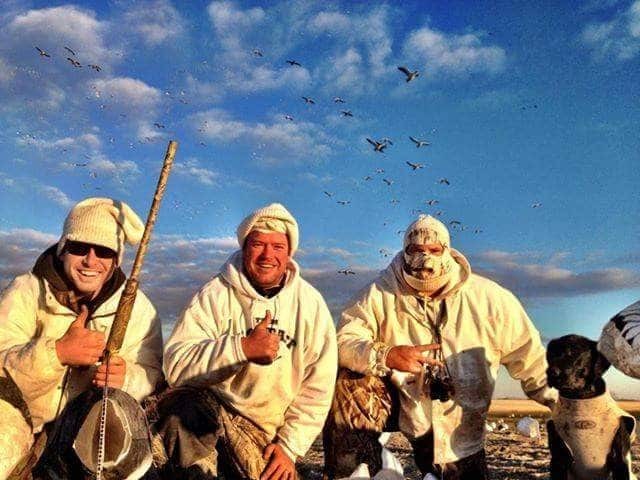 Author enjoying a snow goose hunt in Canada. TRUTH #1 – Be where the staging areas are. I recall a biologist from Saskatchewan who explained to me why some areas the juvies bomb in, while others they hang with the flock. To put a long conversation into a few sentences…it’s about the staging areas. THAT is where the adults “abandon” their young. And when the juvies are on their own, it’s a BAAAAAAAD thing for snow geese. TRUTH #2 – Canada is awesome, eh. If you’ve never hunted in Canada, you MUST put it on your bucket list. I’ve been there MANY seasons, and the hunting there, well, is just more consistent then the states. I live and hunt in North Dakota often, and it’s amazing how that imaginary line can affect their mentality. They don’t get pressured up there in contrast, and the buffet is endless. They have no reason to leave until Mother Nature says so most years. TRUTH #3 – BIG decoy spreads aren’t necessary. If you’re where the birds want to be, you don’t need thousands of decoys. I mostly setup in the 500-1000 snow goose decoy range in North Dakota, often just 3-400 in Saskatchewan. If you’re hunting the RIGHT birds, with a good mixure of juveniles; you’re gonna get some shooting. TRUTH #4 – Hunt the Wind. I HATE snow goose hunting on calm days. The birds fly HIGH and take forever to circle into range. This gives them a HUGE advantage as they have more time to pick out the spread. Nowadays, I use the WINDFINDER app religiously to plan ahead and typically only hunt if it’s a steady 10 mph or more. TRUTH #5 – Make sure you’re REALLY on the X. If I’m scouting snow geese, especially a LARGE feed, I like to put them to bed. If you drive by with 90 minutes of feeding remaining, and note where the birds are…there’s a good chance you’re going to be “off”. Snow geese are EFFICIENT feeders, and usually start in the middle and work their way to the outsides. If you’re seeing birds on the edges…it’s probably almost fed out. WATCH OUT FOR THIS FIELD…it could be setup to be a bust. TRUTH #6 – Keep it Simple, Stupid. I don’t normally put out a lot of motion decoys, flyers, etc. in my fall spreads. In fact, since I’m usally targeting windy days, and I use windsocks…it’s usually plenty of motion. I’ve experimented enough to know they’re either going to do it, or they aren’t. And I’m tired of taking stuff down midway through a hunt when it doesn’t work. TRUTH #1 – Juvy hunting requires ridiculous hours of scouting. As soon as March and April rolls around, the southern states are getting thin with birds numbers, leaving pockets of young birds behind. On any NORMAL year, there are pockets scattered all over. This is the time of year I HATE Internet Scouting. Get in your truck and find the birds. It’s not rocket science, it just requires gas and time. TRUTH #2 – Hunting migrators seperates the men from the boys. Don’t get me wrong, I like a good juvy shoot as much as the next guy; but my spring passion is migrators. Juvy hunting is easy, small spreads and a rotary machine and you’re done. For migrators, it requires HUGE spreads…usually coupled with WATER (which means floaters, a giant pain in the…). You need to analyze snow maps and darn near become an amatuer meterologist to figure out upcoming weather and migration days. But when it all comes together, to me, it’s the most rewarding way to hunt snow geese. TRUTH #4 – Ecallers don’t work at HIGH volumes. You all know that one guy. The one that spent waaaaaaaay too much time and money on the loudest, baddest ecaller on the planet. The problem, is it won’t finish birds. Don’t get me wrong, volume can help swing birds in your direction…but know when to turn that thing down. Personally, I like to run 3-4 ecallers, all running at around 1/3 or so volume. I like all my speakers pointing in various directions, so there isn’t many “dead zones” on the migrating birds descent. 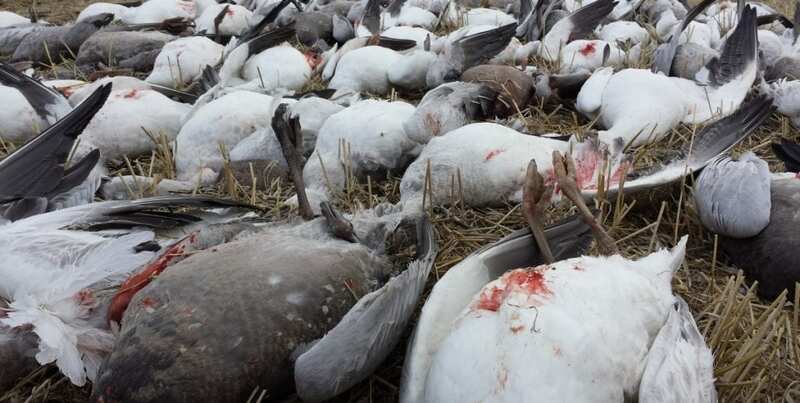 TRUTH #5 – Floaters kill snow geese. This is no secret. But as I mentioned earlier, they’re a pain to run at high volumes. It’s not just putting them out and picking them up in the end…it’s what do you do every night? When the temps drop below freezing your floaters will freeze into the sheet of ice (not good). And on and on… it’s no wonder you see big floater spreads for sale on classifieds every spring. 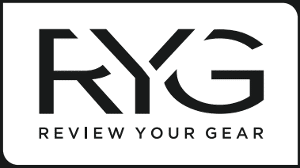 TRUTH #6 – Buy more decoys, not more gimmicks. 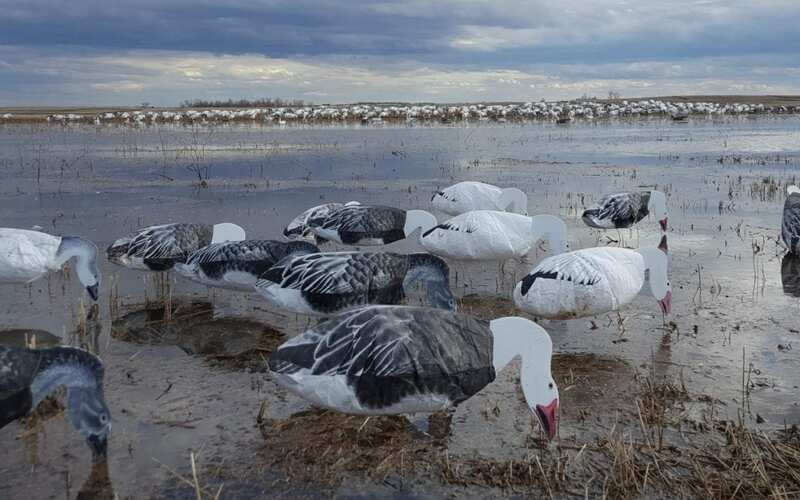 The gimmicks in the snow goose hunting world come and go. The ONLY real game changer I’ve ever seen was the VERY early days of the rotary machines. It was like you invented the robo-duck for snow geese at the time…we could do no wrong. Honestly, I could go on and on and on with truths…I just picked my favorites. So get out there and get after ’em. Snow goose hunting is the pinnacle of waterfowling, in my opinion. Take advantage while it’s “the good old days”.